New at www.nancyjester.com we have a new calendar. The icon is on your screen right upper right corner. We will list Commissioner Jester’s public schedule, dates of the DeKalb County Board of Commissioner meetings, and other meetings across DeKalb County. We are now on Instagram at: CommissionerNancyJester – if you are on Instagram please follow Commissioner Jester and invite your followers to join you. We are now on Periscope at @nancy_jester – we have had a few broadcast with more to come. Tune in and stay informed and watch some cool stuff live. Commissioner Nancy Jester teamed up with long time homeowners in the Evansdale community to stop the sidewalk to nowhere that no one wanted. Thanks to the hard work of the Evansdale homeowners and the leadership of Community Nancy Jester, the Georgia Department made the decision to end the project. Commissioner Jester worked for tax payers to highlight the now infamous “deal” for a set of soccer practice fields where your tax dollars were “put on the table” for this terrible deal which, by all accounts, will not create any serious jobs or economic development. 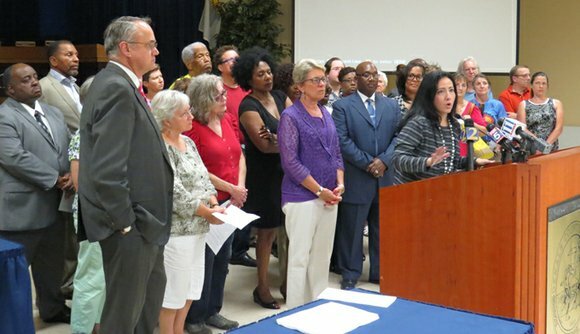 In an effort to offer positive solutions, listed below are 12 substantive, policy solutions from Commissioner Nancy Jester which demonstrate more appropriate uses of DeKalb tax payers’ dollars as opposed to the decision by the DeKalb iCEO to “put cash on the table” and give away (at least) $12 million tax payer dollars for a few practice soccer fields and a building tax payers will have to pay rent to use. $12 million tax payer dollars for a few practice soccer fields and a building tax payers pay rent to use. 1: Give a $12 million tax cut to the working families of DeKalb County. 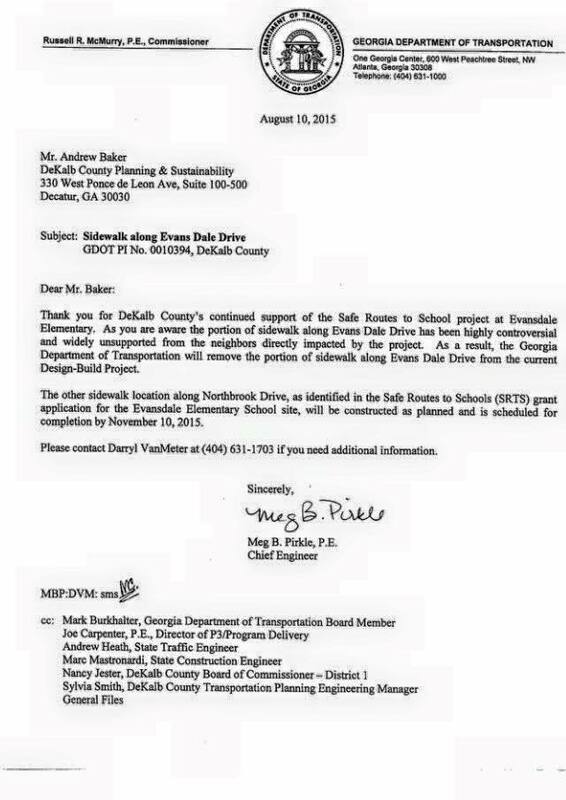 2: Increase funding for DeKalb transportation to pave more roads and fill more pot holes. 3: Fully fund the DeKalb police department to better protect our local communities and give these heroes a pay raise and hire more officers. 4: Fully fund the DeKalb fire department to better protect our local communities and give these heroes a pay raise and hire more fire fighters. 5: Fully fund the DeKalb E – 911 to better protect our local communities and give these heroes a pay raise and hire more operators. 6: Fund the deferred maintenance and improvements to parks already in our portfolio rather than fund a subsidy to a professional sports team. 7: Funding to create an independent DeKalb County Water Authority. Our current “leadership” has serious issues sending bills and it takes four days to restore water service and shut off a water valve. 8: Reform the DeKalb County Planning Department. The office currently closes at 3:00pm (which is not acceptable) and is not sufficiently responsive to customers. 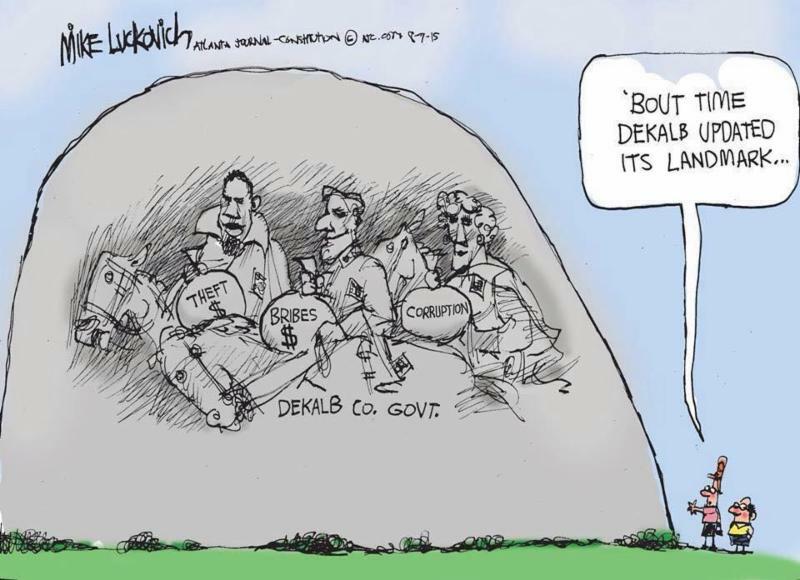 9: Funding to take action once the Special Investigators report is complete to ensure those who are “rotten to the core” in DeKalb County government are removed, departments reformed, and competence and credibility restored. 10: Fund an initiative to vigorously enforce county codes and ordinances so that blighted areas are cleaned up. 11: Restore funding for the DeKalb County District Attorney to fully prosecute ethics cases, human trafficking, and gang related criminal activity. If DeKalb County is serious about stopping these types of crimes the iCEO and BOC must provide the funding to prosecute these cases. 12: Fully fund the new DeKalb County Animal Shelter so that it is large enough to handle capacity and can transition to a no kill shelter. Commissioner Nancy welcomes Atlanta United FC to DeKalb County, however, it must be on terms which respect the tax payers of DeKalb County. If the DeKalb iCEO and Arthur Blank want to show they are serious about this project, they will acknowledge the universal objection by a majority of DeKalb tax payers and publically restructure the financial terms of this deal. 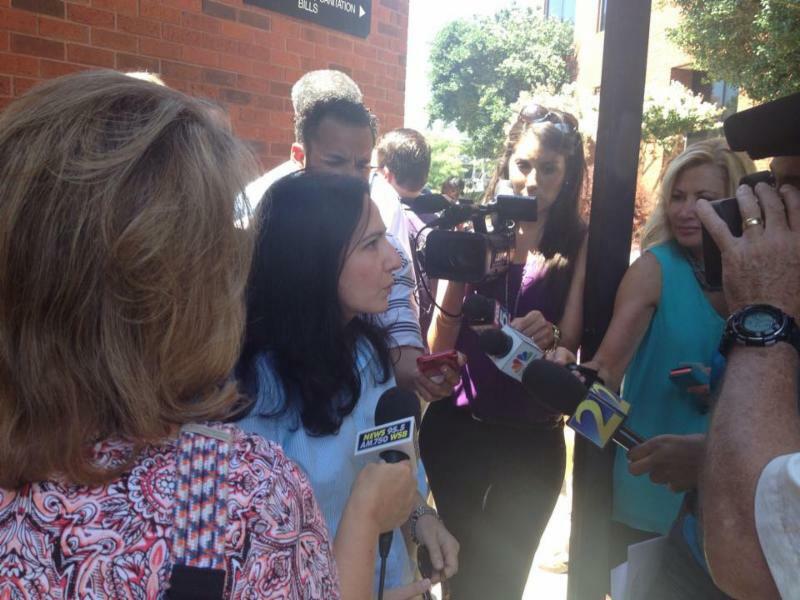 Commissioner Jester worked for tax payers in Brookhaven and Dunwoody who had their water cut off by DeKalb County Watershed Management – after DeKalb County failed to mail out bills. DeKalb County has issued a hold on water service suspensions for up to 1,025 customers in the areas of Dunwoody and Brookhaven who have not received water bills for services rendered in the past 60 days. The hold on water service suspensions will remain in effect for an indefinite amount of time, until the issue and affected accounts are thoroughly researched and resolved. At that time, DeKalb Watershed will contact affected residents as needed. Main Street in Tucker, between Lawrenceville Highway and Railroad Avenue, will be closed to through traffic from Tuesday, August 18 at 9 a.m. until Friday, August 21 at 6 a.m. to replace CSX railroad tracks and cross ties. Road closure signs will be posted in the area, advising motorists of construction work and traffic restrictions. 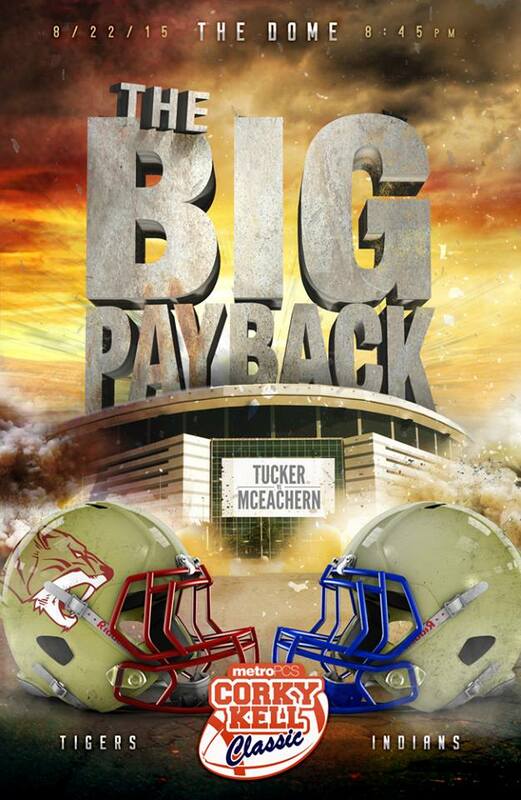 For questions, contact Bruce Skinner with Benchmark Consultants at 770-862-4768. Join Commissioner Nancy Jester at any of the following locations as she travels District One to visit with you. These are not town hall meetings – these are opportunities for you to visit one-on-one with Nancy. 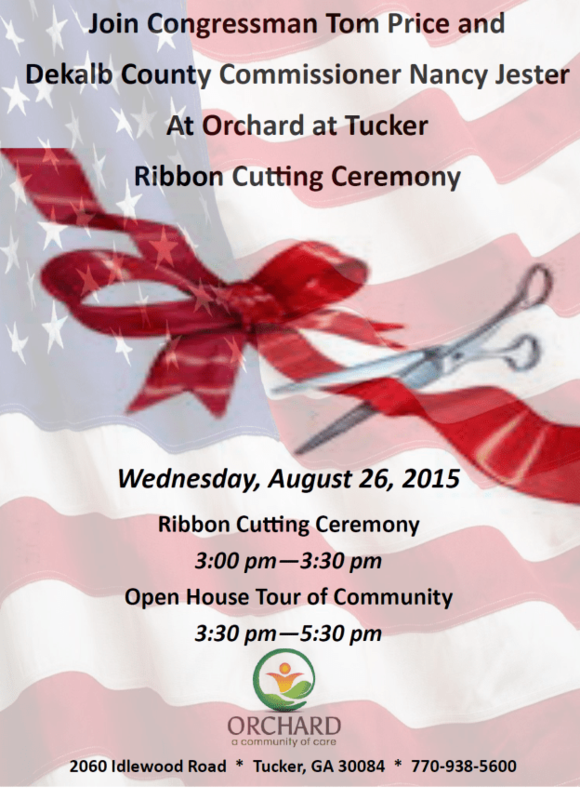 These are free and open to the public. We thank these local business leaders for providing space and while there is no obligation to purchase anything we encourage you to enjoy some of their fine food and drinks. 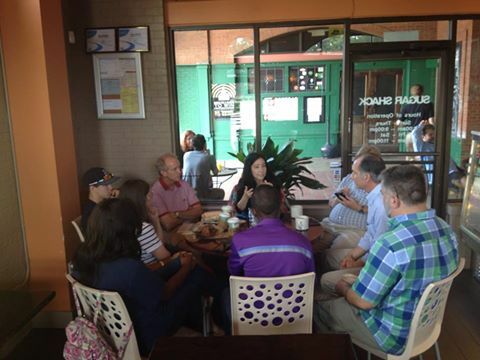 Great morning at Sugar Shack for the Nancy Jester Brookhaven Commissioner Conversation. 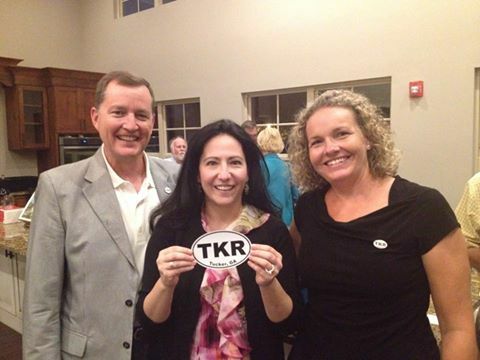 With Michelle Penkava and Frank Auman – two amazing leaders – they are the heart and soul of Tucker. 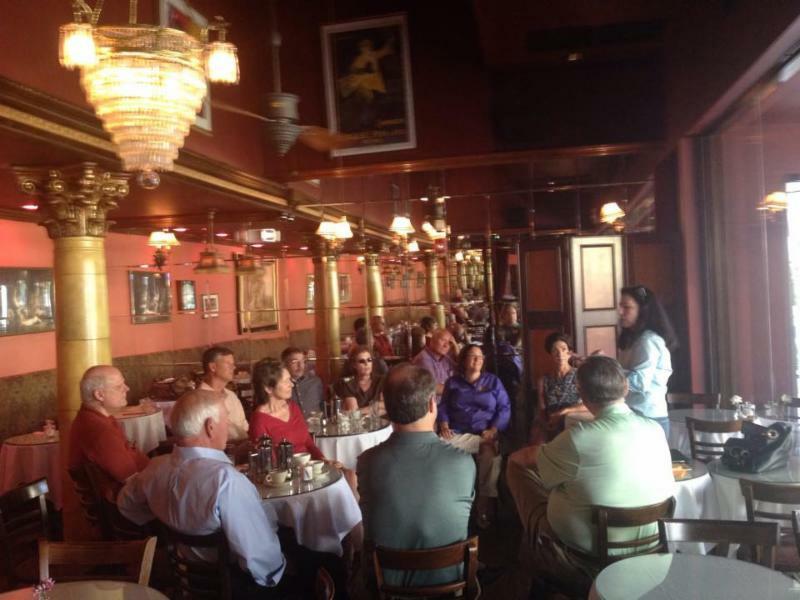 We had a great crowd of 42 at the Nancy Jester Northlake Commissioner Conversation. 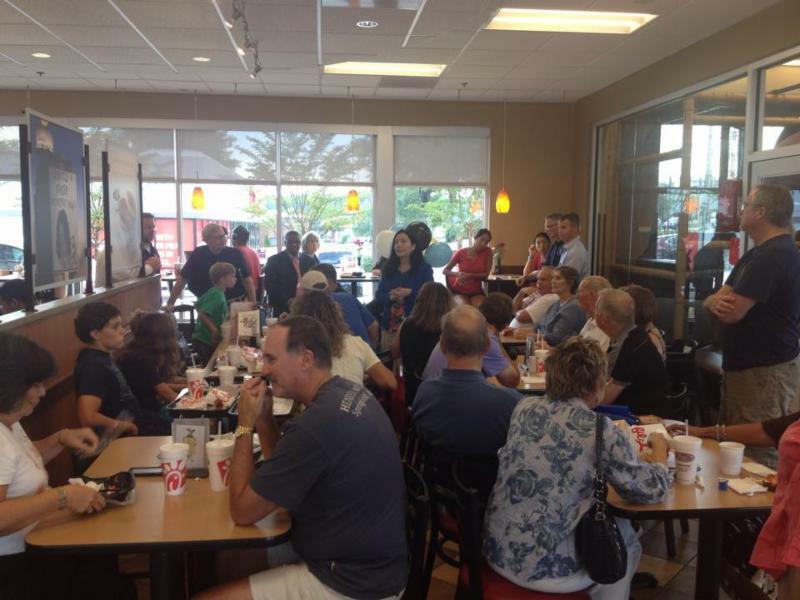 Thanks to Chick-fil-A Northlake Festival for hosting the community. 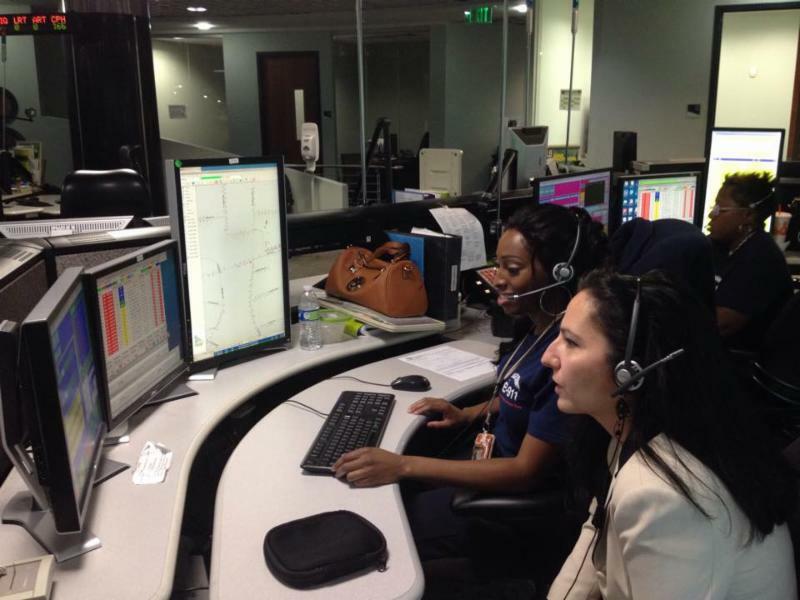 Commissioner Jester worked for tax payers after her visit to DeKalb E-911 by highlighting the critical shortage of 911 operators, the fact they are working overtime (after 12 hours shifts), and that we are loosing our most experienced operators due to low pay. Great turnout at the Nancy Jester Dunwoody Commissioner Conversation. It is an honor to serve the tax payers of DeKalb County.